It is just as important to fertilize the trees on your property as it is to fertilize the lawn, but most people do not realize this. At Port Orange Tree Service we fully recognize the benefits of having healthy trees in your yard and we know how to keep them that way; our tree fertilization service is a big part of that. When we come out to your business or home we can help to further educate you on the importance of and generally accepted methods of tree fertilization. There are a lot of misconceptions when it comes to tree fertilization. Many people assume this is always done by injection and that it provides the tree with vitamins and food but that is hardly the case in most instances. Tree roots tend to branch out all over your yard and are never usually more than 12” deep so they can easily be reached by broadcasting fertilizer just like you do with your lawn. Tree fertilizer acts as a catalyst for glucose and protein stimulation that is essential for helping the tree make food for itself. We are experts at what it takes to do proper tree fertilization in Port Orange. How is Tree Fertilization Applied? Broadcasting is the preferred method for tree fertilization because the fertilizer can easily reach tree roots as they branch out all over the place. In rare cases injection is used also. It is much more important to fertilize around young trees because they still need to grow. The importance of this to their healthy growth cannot be emphasized enough. The best time to fertilize trees in Port Orange is usually in the latter part of the fall. It depends on the individual species of tree to pinpoint this more accurately. That is why it is best to let a professional tree service company like us handle this; we know the particulars about the many hundreds of different species of trees that are commonly found in Volusia County. Some trees do prefer to be fertilized and thrive better when it is done other than the late fall. 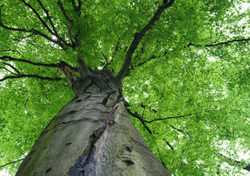 It is generally not necessary to fertilize older trees unless they appear unhealthy or have been overcome by disease. Their root structure is strong and expansive enough to pull in the nutrients that the older tree needs; they will also soak up some of the fertilizer that has been applied to the lawn in most cases too. Make sure you do fertilize them if anything about them just does not look right because it can never hurt them. The experts here at Port Orange Tree Service are standing by ready to give you any advice you may need on fertilizing the trees in your yard to keep them healthy. We would also be happy to come out to your home or business to give you a free estimate on what it would take to get your trees fertilized and looking healthy. We can also address any other tree issue you may be having at that time too. Remember, if disease and malnourishment are left unchecked it can start to impact the surrounding trees on your property also. So call Port Orange Tree Service today at 386-267-6399 for a free tree evaluation and estimate on how we can get your trees looking amazing once again. Our prices are fair and competitive and once you see the results of our work you will wish you had done it years ago.